Hip Hip Hooray for “Socks Up”! This early morning blog caught my attention since I’m a huge fan of the old-fashioned “socks up” look. 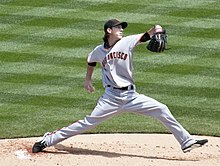 The SF Giants tend to favor the long pants, some of them are so long the pants legs drag around on the ground. And others, like Barry Zito, have pants that look like they’ve been sprayed on, but he does have his socks up. I’m not sure why this has been an issue with me. 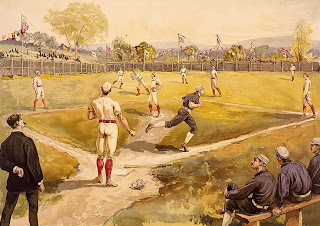 Maybe it relates to old-time baseball ~ one of the most memorable and romanticized times in the history of sports. At least that’s this fan’s opinion. 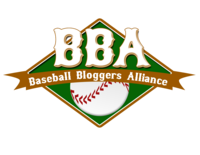 Here’s the blog from an Atlanta Braves fan from Austin, Texas. The blog title is “Gross Knowledge“. The Final Season: Socks Up, Boss. This entry was posted in A1 Baseball, General, Atlanta Braves, San Francisco Giants. Bookmark the permalink.